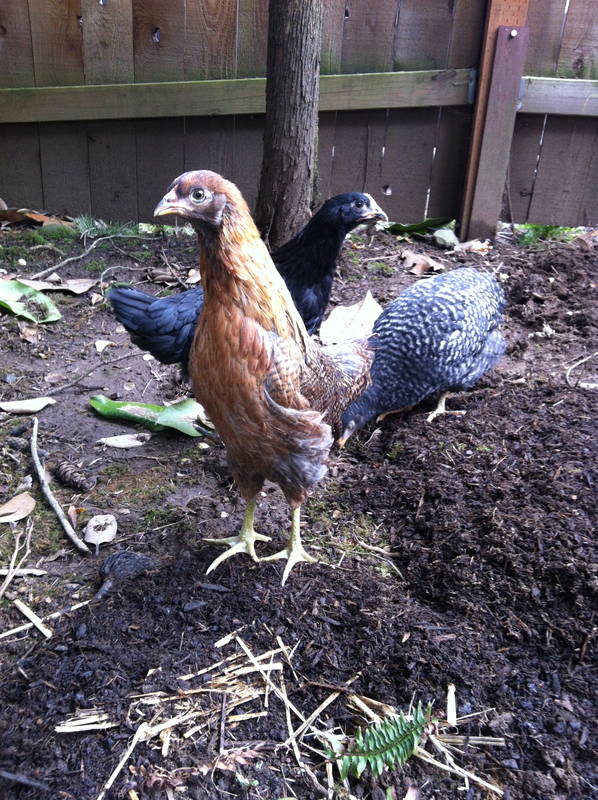 The three chicks, Blondie, Blackie, and Baldie, are now about 10 weeks old. I’ve switched their feed to the next level, as directed by the feed shop, and Eric and I are in the last stages of planning the coop and house. We’ve sited it near the compost pile so I can easily deal with what I clean out of it each week, and it’s in a spot that I hope will make it convenient to walk around it and gather eggs, etc. We’ll be incorporating a secure run for them, but I plan to let them roam the fenced backyard on weekends (supervised) when they’re a bit older. 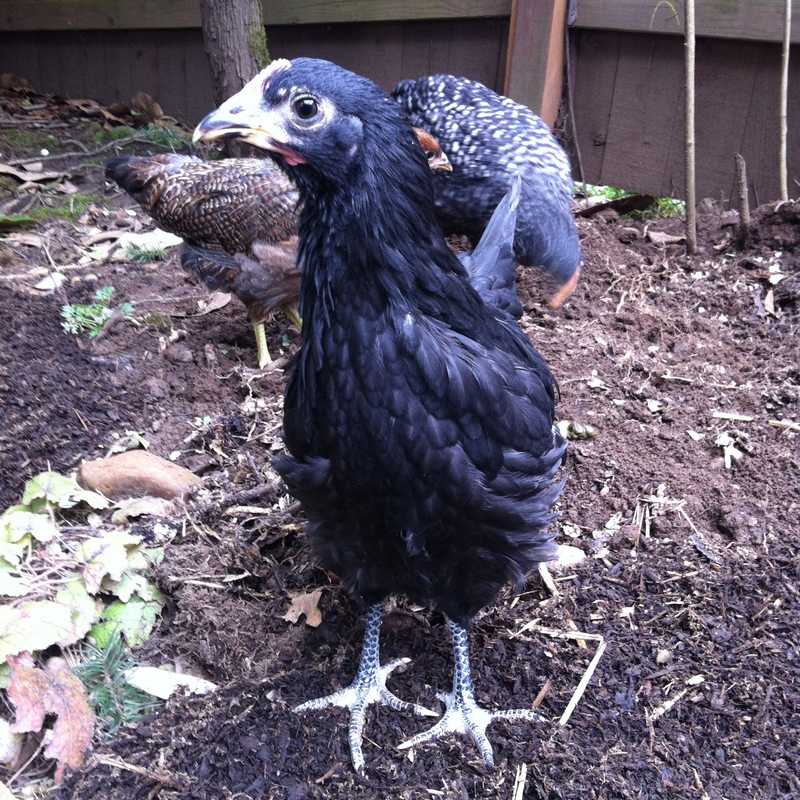 Here are some photos – they’ve grown so quickly! Blackie – she’s the first one who’s voice has started changing. The ever-bossy Blondie. You can see some bluish tones in her legs. 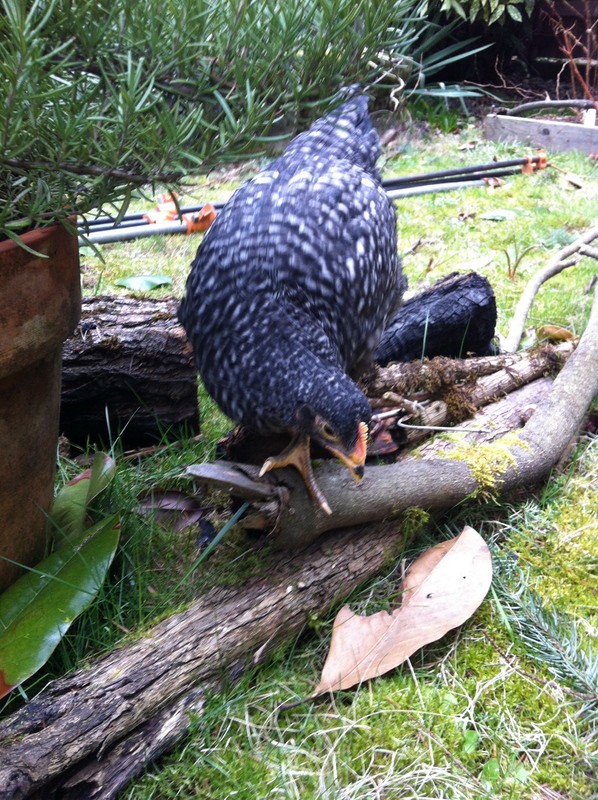 She’s the one that will lay blue/green eggs. 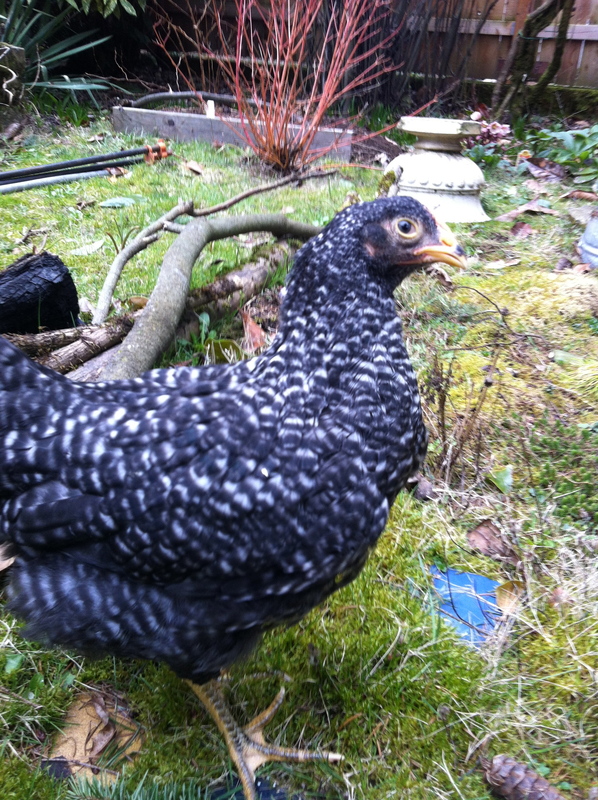 Baldie (she had a white patch on her head when she was a chick). Not sure about her yet. She sort of follows the others. A little withdrawn. 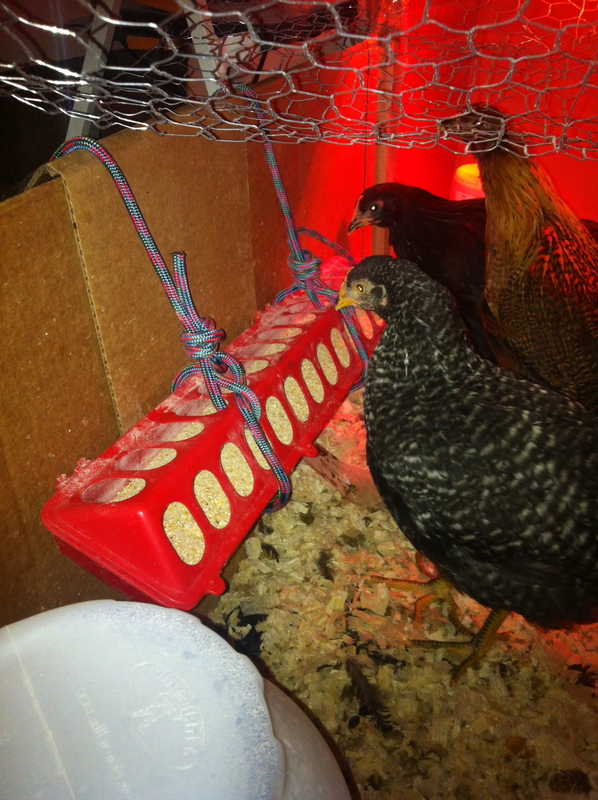 Hanging food system I devised. They weren’t too excited at first. Now Blondie apparently tries to stand on it. I cannot wait for them to be outside. Next Post New natives from EMSWCD – why natives are great for the garden!